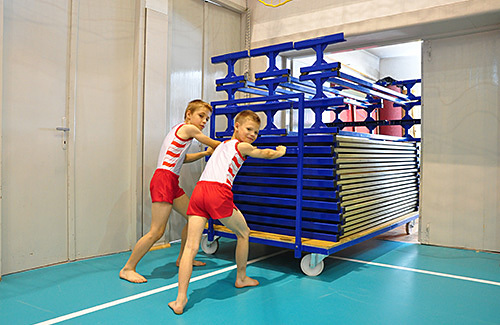 By using the ONE TRACK ONE PACK solution, the whole Tumbling Track GREGOR may be fitted on one trolley. Unfolding the set may be done straight from the Trolley Platform, without effort. 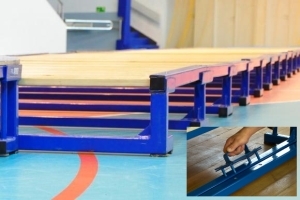 Stable structure does not scratch the floor. Unfolding the pneumatic cover of the track – Air Cover. 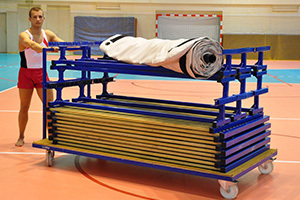 Efficiently and without effort, due to the optional Trolley Lift. Pumping up – fast and safe inflation due to an efficient compressor. Optional pressure stabilization system (Automatic Refilling System). Simple installation & stable structure. 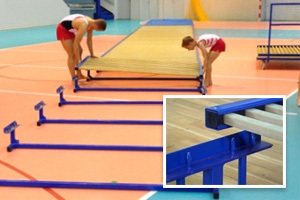 Durable and stable connection between the run-up and the steel structure of the tumbling track. 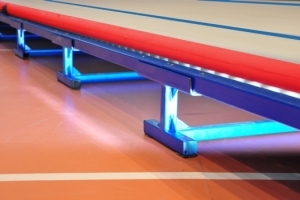 Injury-free use of the acrobatic track and safe landing on the pneumatic Landing Area. Created by Apn Consulting sp. z o.o.